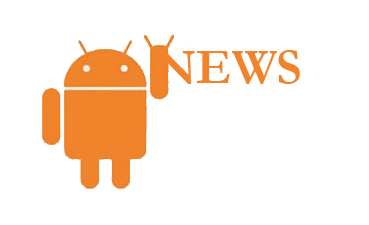 Major Indian Media and news organization have been brining mobile apps for Android Platform. I compiled best Android apps that you must try in your Android device. Times of India app for Android give your breaking news, unrivalled converge of national, international, city, sports, entertainment, lifestyle, business, health, science and technology. The app also comes with Social sharing you can share any articles with your social friends or save article for offline read. You can customize the app by selecting your city, change background color and increase or reduce text size. You can view Photos & videos right from the app. You can customize the tab based on your interest. News in Style. IBNLive for Android bring all latest news reports from India. When you start the app, top headlines flashes on full screen. The app split the news in various categories like India, Politics, Movies, Tech, Business, World, Sports etc. Just tap on Sections to view all categories. The app is full customizable, you can customize no of articles to be shown on per section, enable or disable sections. You can also watch Live T.V right through the app(Require Android 2.1 or later), simply tap on Live TV button on top. You can watch CNN-IBN, IBN7 English, IBN Lokmat, IBN7 Hindi. You can also view Photos & Videos gallery(require Wi-Fi or 3G for best performance) or read Masand Movie review. The official NDTV app brings you stories & videos from NDTV studios in India. The app give you latest news from India, Cricket News, Market news, Weather. Weather, Cricket Scores, Market rate shown on home screen of the app(See the right top). The app slipt news in various categories like Top Stores, Recent, India, World, Business, Sports, Cricket, Entertainment, City wide news, and Technology. You can watch Live TV of all NDTV channels – NDTV 24×7, India, Profit & Good Times. The app also offers free Live video & audio of all NDTV channels – NDTV 24×7, India, Profit & Good Times. Moneycontrol.com, India’s No. 1 financial portal has App for Android device from where you can track Indian and global markets. Moneycontrol Markets on Mobile app allow users to get real time quotes, Indian and Global market indices, manage and keep track of your investment portfolio and much more. This app is extremely useful for all users who deal in Stock Market of India. Tell us which one is your favorite app and why?